Last evening we performed at Ashton Gardens once again for a Sunday Night wedding and we are always happy to be the Houston DJ there! We provided both the ceremony and reception music, and the wedding went flawlessly. 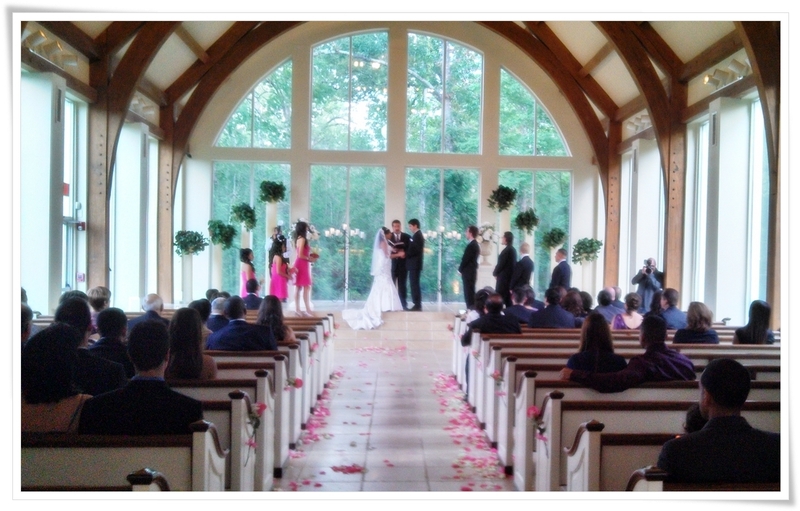 In case you are unfamiliar with Ashton Gardens, they have a chapel next door to hold the wedding ceremony. After the ceremony, all guests move next door for the reception. We normally use the in-house sound and set up our system next door so we can have reception music going instantly as guests enter. If you require a top Houston DJ, we encourage you to give us a call. We specialize in weddings, receptions, photo booths, and special events, and will do a great job as we have many great DJ’s on staff and can handle nearly any event type and genre to perfection. Contact us today to check availability.